If I had to choose just one application that’s had the biggest impact on my life I would have to choose Instapaper. I use it for 1-2 hours a day now and it brings joy to what was previously a complex, frustrating and distracting experience that used to take at least twice as long. Even better Instapaper continues to improve in ways that align very closely to my evolving needs. I love it! Last week a new release added a superb re-design of the web site, providing something approaching a file system for the web. The real update though was the addition of highlighting to all the clients. 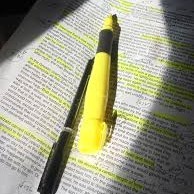 When you read as much as I do highlighting is a revelation, it allows me to extract just the nuggets that mean most to me from flood of information that I read. I already have a twitter account @steveisreading that provides a list of all the useful (I don’t tweet most of them) articles that I read, but as soon as highlighting became available I wanted a way to share these too, so I now have a tumblr account that has just the highlights http://steveshighlights.tumblr.com/ and an associated twitter account @stevehighlights. I find this list incredibly useful, I can remind myself of key things that I read just by scanning less than 5% of the original text. Instapaper itself has an even nicer interface to the highlights, but unfortunately I can’t figure out how to share that. I’m trailing also tweeting the highlights to my primary @steverichards twitter feed in the hope that they turn out valuable enough for that. I’m using IFTT to automate this, so every time I highlight something in Instapaper it automatically gets posted to tumblr and IFTT checks tumblr every 15 minutes and creates the tweets. I’d love to know whether this is useful to anyone but me! Note: Unfortunately when Instapaper extracts the highlight all formatting is lost, which means for example that a bulleted list is strung together into a difficult to decipher paragraph.